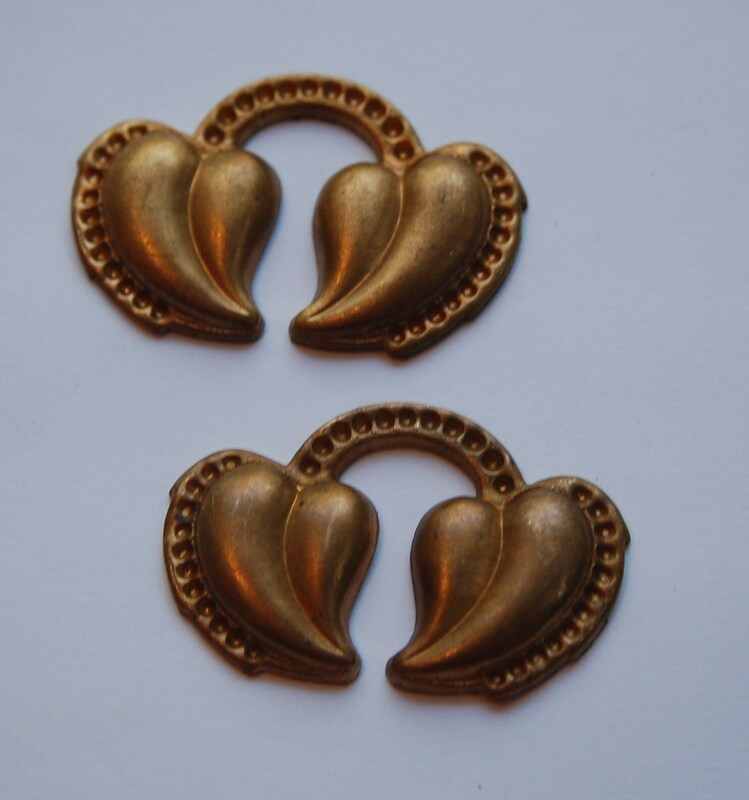 These are vintage brass stampings. 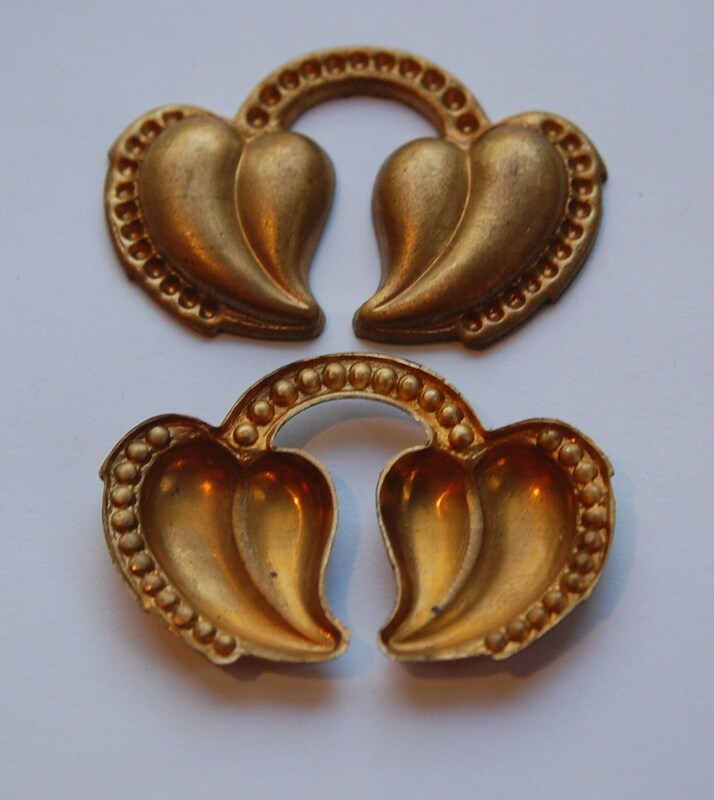 They feature a pair draped heart shaped leaves. The top arch and outer border has a place to set tiny rhinestones, around a 2mm size. These great though with out the stones. They are concave on the back and are of a nice weight. Not flimsy at all. These are vintage and have acquired a patina. These measure 42mm wide X 27mm high. You will receive 2 pieces. Wonderful seller,thank you so much!!! These are so awesome can't wait to use them! Thank you for the fast shipping!